Front and back view of the all-new 2019 BMW 3 Series. More than 40 years and six generations later, BMW’s best-selling model reinvents itself again. 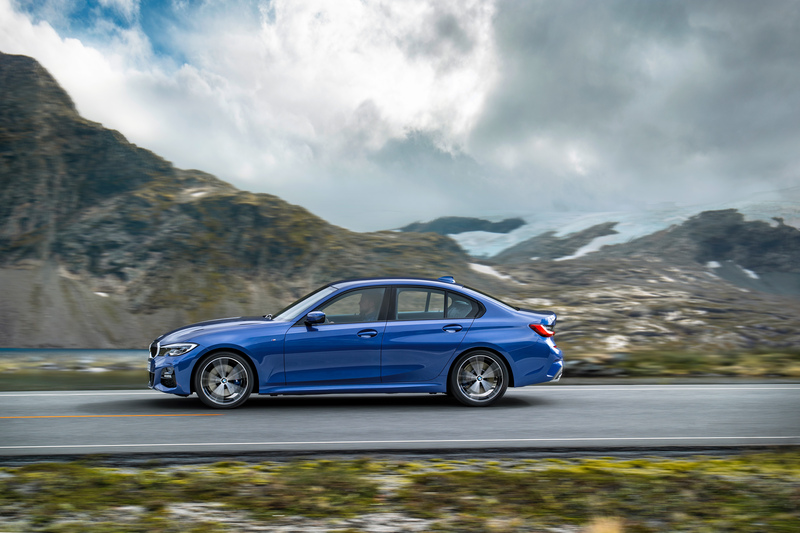 The 2019 3 Series improves on the outgoing sedan in almost every way, from road presence to performance, as we explore in today’s blog post. Steadily growing in size ever since it was introduced in North America in 1976 as a successor to the BMW 2002, the car does so again gaining 73.7 millimetres in length, 15.2 millimetres in width and 12.7 millimetres in height. Also, wheel base is 40.6 millimetres longer and the front and rear wheels have been pushed out 43.8 and 20.3 millimetres, respectively. This translates into a more athletic stance all around and increased agility in the corners. Enhancements to the fascia are purposefully subtle, to keep the iconic 3 Series family resemblance intact. 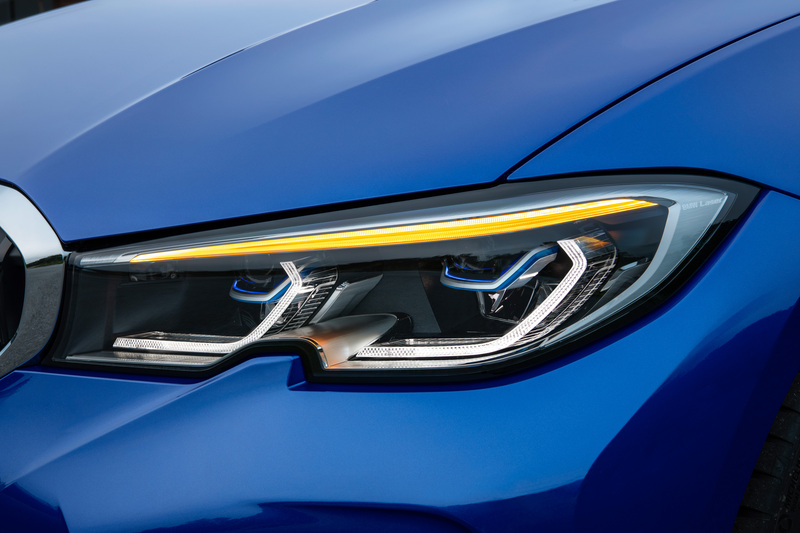 The slimmer headlamps — which can be equipped with Adaptive LED Laserlight technology — possess — a stylistic notch rising up under the centre section, and the available foglights and Air Curtains are housed inside the bold outer intakes. For the tails, designers added a smoked effect to the turn signal portion for a sportier appearance. Dual exhaust pipes, 80 or 90 millimetres in diameter depending on the trim, finish off the look. The cockpit retains a familiar layout, but some buttons and controls are grouped and arranged differently for a cleaner, less cluttered configuration. 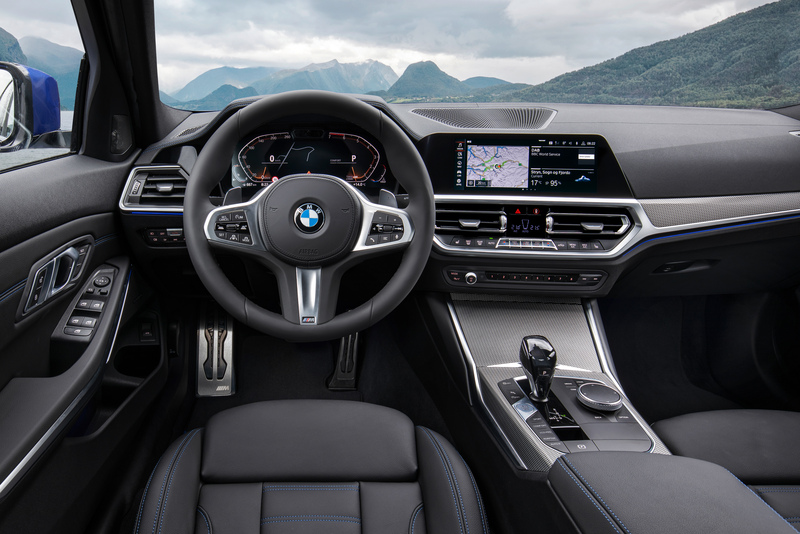 For example, there’s a fresh control panel ahead of the centre console made up of a reshaped transmission lever, a relocated engine start/stop button, the iDrive Controller, Driver Experience Control mode selector and the electric parking brake. Rear passengers getting in and out of the vehicle should find the task easier due to larger door apertures. 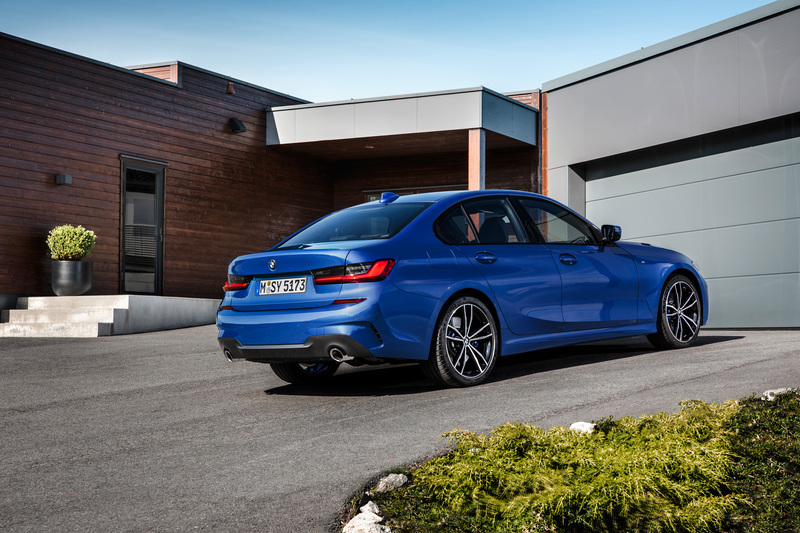 Initially offered in 330i xDrive trim with an upgraded turbocharged 2.0-litre, inline four cylinder engine delivering 255 horsepower and 295 lb-ft of torque (seven more horsepower and 37 lb-ft of torque than before), a six-cylinder as well as an eDrive model is set to arrive later. The range will be topped by an M340i variant producing 382 horsepower and 369 lb-ft of torque. Keep an eye out for the new 3 Series to go on sale in March of 2019.